Foundations will help you lay a solid spiritual foundation and understand basic Biblical truths including salvation, forgiveness & water baptism. This program is designed to fortify and restore the moral and spiritual integrity of men. Valiant Man challenges all men to fight for their own personal, moral and spiritual vitality and help other men fight for theirs. If you would like to be baptised at tonight’s service, then come along to Water Baptism training. There are limited places on the night for people to get baptised so make sure you get you name booked in quick! DNA is a three-week course where we explain who we are at Life Church, where we are going, and how we are going to achieve it. DNA is a three-week course where we explain who we are as Life Church, where we are going, and how we are going to achieve it. Join us for this term’s Life Groups in homes across Townsville! Too often, greed and materialism can choke out the true spirit of generosity found only in Christ. In this new study of the The Blessed Life - featuring fresh stories, illustrations, and testimonials - Robert Morris, founding senior pastor of Gateway Church, examines the true meaning of the blessed life. The enemy wants to keep you from discovering God's principles governing financial stewardship, giving, and blessing. Why? Because once you do, it will change every area of your life from your marriage to your health and finances. It will also impact the kingdom of God. What if every needed church facility could be built? What if every missionary could be sent and abundantly supplied? What if the gospel could saturate every culture on the planet? When God changes your heart from selfishness to generosity, every part of your life journey is affected. With humour, passion, and clarity, Robert presents this truth in The Blessed Life. Join us for this term’s Life Groups held at the Church every Tuesday morning. Learn how to partner with the Holy Spirit and see His manifest Presence rest upon you every day, while you walk out a lifestyle of Supernatural power with the incredible honour of having the Holy Spirit living inside of you. Available as a course through Life Leadership College. DNA is a three-week course at Life Church where we explain who we are, where we are going, and how we are going to achieve it. 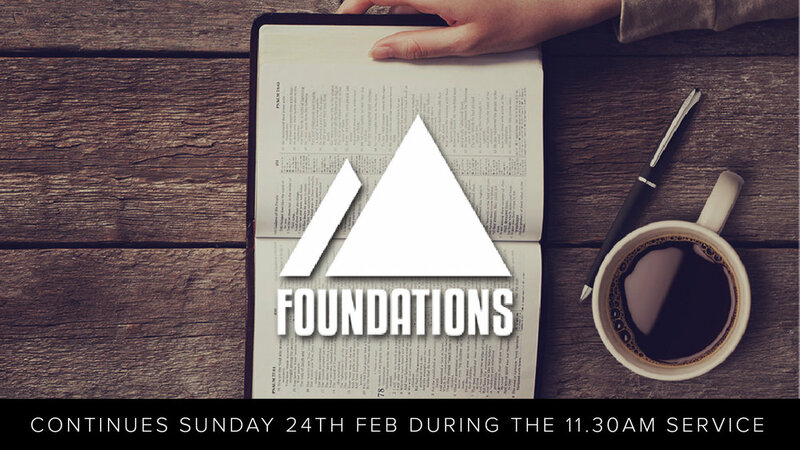 We run our Foundations Course during our 11.30am Sunday Service. We run our Foundation Course during our 11.30am Sunday Service. We run our DNA & Foundation Course during our 11.30am Sunday Service. 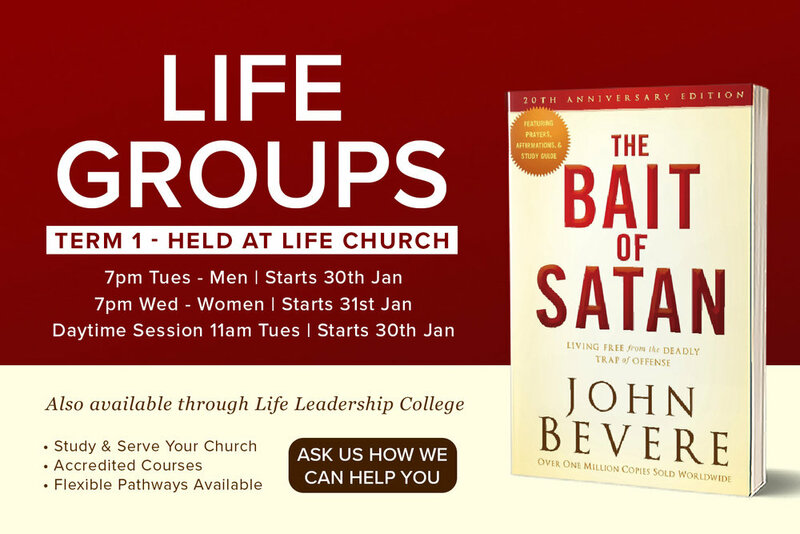 Join us for this terms Life Groups held at the Church, "The Bait of Satan"